With the construction boom going on in Nashville, it may seem that commercial roofing contractors are a dime a dozen. Yet while there may be plenty of them, they certainly aren’t all the same. That’s why it’s so important to fully vet your options before that dime turns into lost dollars and wasted time. We can help with these tips. If a commercial roofing contractor has been around for years, there’s likely a good reason for it. If you don’t recognize the name, there may be a good reason for that as well. Either way, look into the reputation of each contractor you’re considering by checking online reviews, Better Business Bureau ratings and references from other businesses who’ve used them. A project portfolio and testimonials like we have on our website is another helpful way to get a feel for the work they do and for whom. We may be a bit biased here, but believe having longstanding ties among businesses in your community gives a commercial roofing contractor an edge. After all, they’ll understand nuances specific to businesses and roofing in the area that others may not. Plus, independent contractors are invested in the community with a local reputation to uphold, whereas a franchise may be able to rely more on its national reputation than quality work locally. ACS Roofing has two office locations in Tennessee — one in Nashville and one in Johnson City, TN — and we are involved and invested in our local communities. Your prospective commercial roofing contractors should also have the credentials to back up their work and protect your investment. Find out if they are bonded, have all necessary licenses to work in Nashville, and have proof of general liability as well as workers comp insurance before making a final decision. For added peace of mind, check their credentials with top manufacturers in the industry. For example, we’re authorized installers of Carlisle, GAF, Versico, GE, Progressive Materials and more. Any commercial roofing contractor worth his salt understands the investment property owners and managers are making; that’s why when receiving quotes, you should expect the pricing, terms and warranty to be clear. They’ll also expect transparency from you to better understand your needs and budget to determine the best solution. Safety is key in commercial roofing, and it’s important that your contractor feels that way as well. Ask your prospective contractors about the safety protocols they employ. 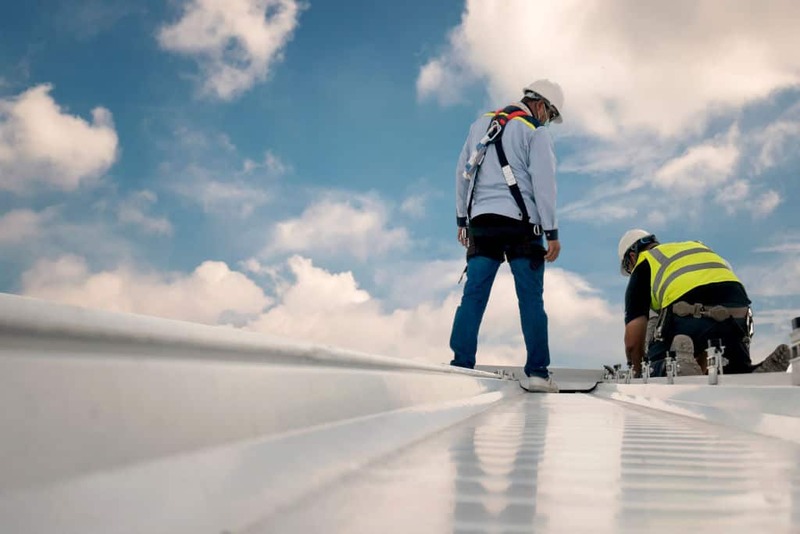 In addition to safety, anyone working on or replacing your roof should be highly skilled in his craft as well as stay abreast of the latest innovations in the industry, so find out about ongoing training and how they as a company keep up-to-date with the latest industry innovations and best practices. Bonus Tip: Choose a Partner Not a Price. This one’s so important it should stand alone because it’s not just about getting the bid or the sale; or at least it shouldn’t be. Be wary of commercial roofing contractors that are way below others on price or push for a particular product without a true understanding of your needs. A roof is not a commodity; it’s an asset to your business. That’s why we partner with our clients throughout the lifecycle of their roof and take the time to get to know their properties, answer their questions and present individualized options with clear communication before, during and after construction. To learn more about our services as a commercial roofing contractor in Nashville, contact ACS today.